Betrayal begins to twist and burn. Love’s loss now becomes Love’s lust. Forbidden Fruit is the deadly apple of poison with nothing more than a dagger to heart. Innocence is blinded by temptation. Truth falls deep beneath lies and illusion. Who’s telling fables, and who’s telling the truth? All roads lead past the mad king and back, back to where the story really begins. All those lives lost. All those lives known. Gone without a trace. Erased by one man’s hand for nothing more than freedom, but as he bends and breaks the branches of time, what has he left in its wake? What fate awaits him along the new branch awaiting his return? Freedom or Death? Like a delicate spider, The Branches of Time unfolds as harsh tragedy, a gaping hole begging to be filled. Intricate lines dance across oblivion, tortured souls struggle to exist and arecaught in a web of fate. As we tangle across characters forever changed, are we ensnared in a series of events, events that have erased the past and haunt the future, a future waiting? 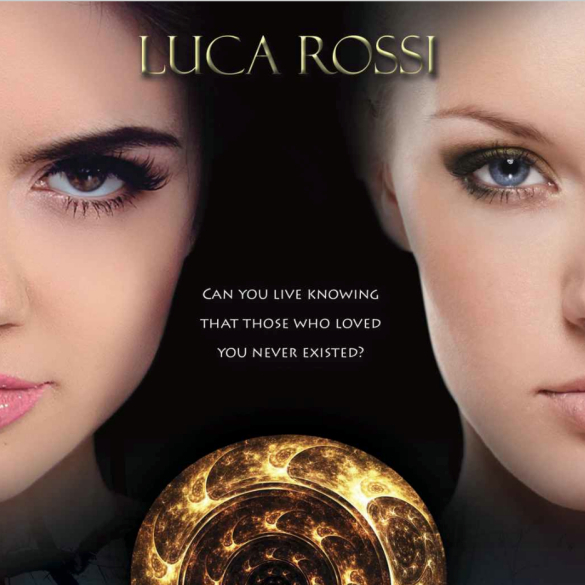 We cannot escape for we are pulled in further and further by magic and mystery written so very brilliantly by Luca Rossi. And we hunger for more, immersing ourselves in worlds such as Game of Thrones, The Librarians, and now, a series that begins with The Branches of Time available on Amazon. This entry was posted in Archive, Literature, Recently Added, Reviewed, Uncategorized. Bookmark the permalink.